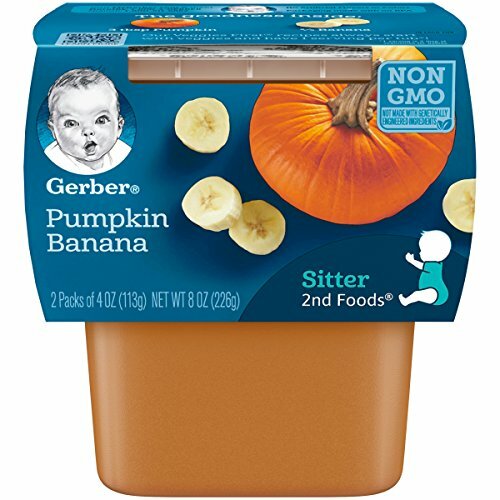 Continue your baby’s love of fruits and veggies with Gerber 2nd Foods Pumpkin Banana baby food. Gerber 2nd Foods baby food helps expose babies to a variety of tastes and ingredient combinations which is important to help them accept new flavors. All Veggies First recipes start with a vegetable to ensure one serving of veggies in every tub. This recipe includes a lot of love, care, 3 Tbsp pumpkin and 2/5 banana in each tub. If you have any questions about this product by Gerber Purees, contact us by completing and submitting the form below. If you are looking for a specif part number, please include it with your message.